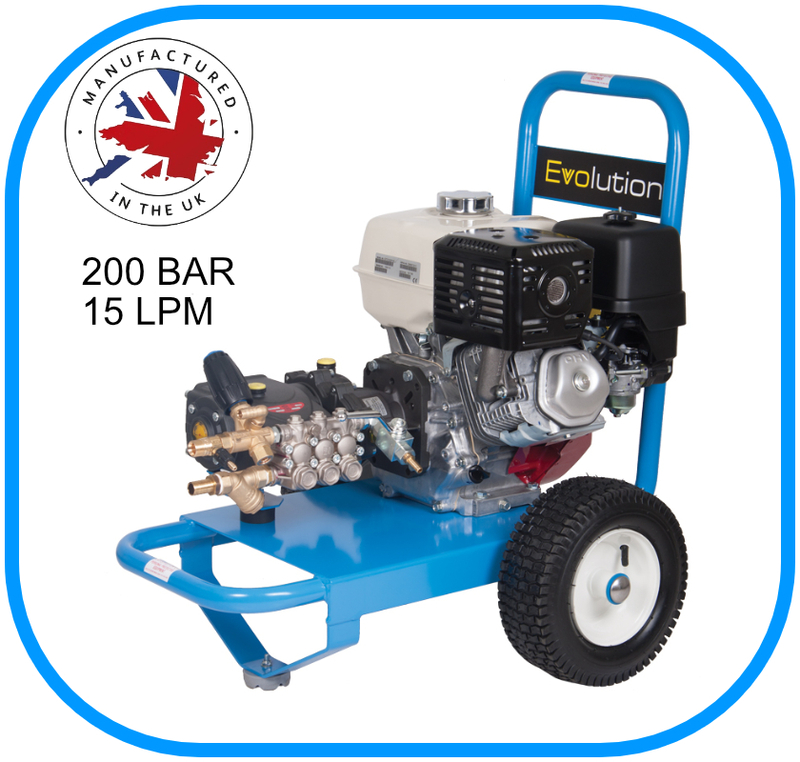 The Evolution range of pressure washers are designed by the leading UK pressure washer manufacturer Dual Pumps and the Evolution 2 machines are the most popular of this range, ideal for commmercial cleaning such as driveways, patios and general exterior cleaning as well as light industrial use. The petrol pressure washers are built with the hard-wearing and reliable Honda GX series of engines and the diesels are built with the industrial Yanmar engines coupled to the versitile Intperpump range of pumps, the most popular range in the UK, and fitted with an Interpump reduction gearbox to ease the wear on the pump. This pressure washer is return to tank whereby the water flows back to the tank via a hose when the trigger is released. This ensures that the head of the pump doesn't overheat if the machine is left running for a short amount of time without the trigger pulled and reduces wear on the seals. They are also fitted with an easy prime valve to bleed the air from the system upon starting the pressure washer; this also makes starting the engine easier as there is no build up of pressure in the pump. They are then fitted to a powder-coated steel frame manufactured in the UK. This package includes a 900mm standard lance with a fixed 15 degree jet, three meters of inlet hose with filter, three meters of return to tank hose, and ten meters of high pressure hose. They come with M22 screw type connections for ease of use coupled with tightness of fit.